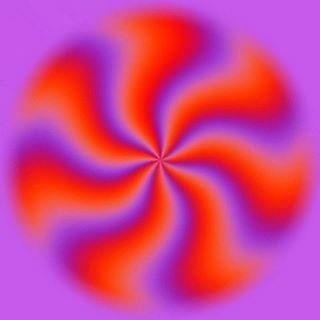 Visual illusions tend to fascinate us, because they use color, patterns, and light to deceive our brains. What our brains perceive does not match reality. Satan, the father of lies (2 Nephi 2:18), is the master of creating illusions. He uses a mixture of truth and lies (light and darkness) to deceive us. 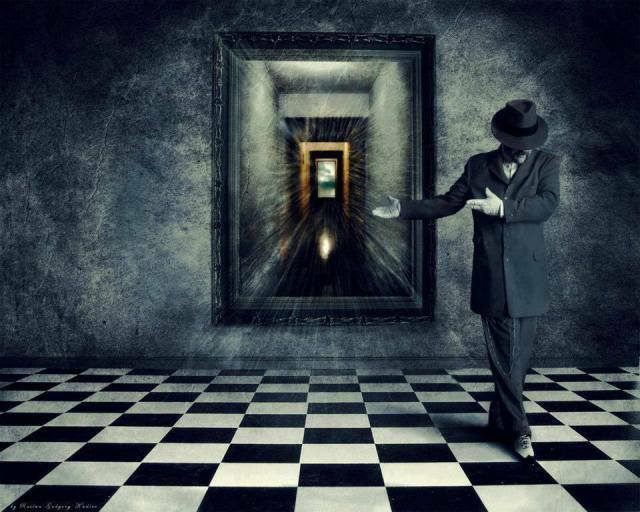 As we are drawn into the illusion, what we perceive does not match reality. Recently the Lord has been helping me become more aware of the ubiquitous illusions the world offers. While we are aware of some of them, other illusions are inconspicuous. Despite being illusions, we believe they present reality. Yet, they are always based on the world's standards of the way things ought to be. They are hollow, worthless, and futile. Furthermore, they often lead to pride leading us to believe we are better than reality. They truly are vanity! One type of illusion refers to ourselves. We choose to do and say things that lead to us appearing as something we are not. Social media is one way in which we create illusions about ourselves and our lives. We create the perfect picture on Instagram, for instance, and as a result we portray ourselves as being more fulfilled, happier, better parents, and so on than reality. Similarly some portray their children in a particular way because they want others to think they are more beautiful, more intelligent, and better behaved than they really are. When we do this, we are creating an illusion for others. Another illusion we sometimes try to create is seeming more beautiful, thinner, and younger than reality. We use make-up, anti-aging techniques, and plastic surgery to create this misrepresentation. These things can lead to excessive focus on our appearance, when the state of our heart is what really matters to God (1 Samuel 16:7). Although I am not advocating the destruction of make-up, I can see that it can provide a barrier between us and God. I certainly have been drawn into wanting to appear pretty and youthful, especially as I approach my 40th birthday next year. Appealing to a telestial view of beauty robs me of loving who I really am and knowing God's views on me. Many also tend to portray themselves as more righteous than they really are. Through outward actions that others can see, the things we say, or the way we pray, we depict ourselves as pure in heart and full of charity. Instead, if others could see our hearts, as God can, they would see we are full of sin and impurity, becoming quickly offended, or irritable, or frustrated with others, among other things. Furthermore, some like to portray themselves as closer to God through the things they do not say, alluding to spiritual experiences they have not had. All these things are illusions, giving others false ideas about our standing before God. 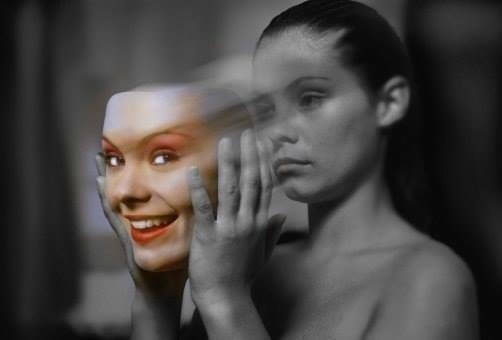 These illusions (as well as others not mentioned) are vanity, promoting us to feel better about ourselves and our lives. Yet, they make us feel worse when we compare ourselves to others and the illusions they portray. Not only do we use illusions to paint a different picture of ourselves, but the world offers illusions to entice us to seek things other than Jesus and the will of God. One illusion the world presents to us are the things that keep us busy. Often these things seem like they are a good use of time, but they actually distract us from doing God's will (see this post on distractions). While we think we are using our time effectively, those activities actually create an illusion, because we think we are doing God's will when the reality is we are not. Another illusion of the world are the things we turn to for comfort. When you feel stressed, what is the first thing you turn to? We all focus on different things. While some use chocolate, caffeine, or food in general to cope with stress, others turn to spending money, exercise, or talking it out with friends. The world offers us things that are often simply a temporary coverup for how we are feeling and within hours or days we are back to feeling stressed or depressed again. Instead of turning to these illusions of comfort, as you seek God's comfort and truth, He is able to give you long-term, permanent aid. One of the biggest illusions that the world offers us is that sin is acceptable and the things of God are strange and peculiar. This is the illusion the world offers us. Sin isn't all that bad, especially the sins we have deemed as not going to keep us out of heaven. The world offers many illusions which we chase, yet they rarely lead to what we are seeking. Each of us are guilty of this and frequently we are unaware that the things we chase are illusive. Sometimes we seek power, money, or a Hollywood romance never realizing that these things are not as they portray themselves. Illusions are dangerous not only because they are not truthful and they are from Satan, but they are incredibly difficult to perceive. However, if we are to become like Jesus, we have to focus on only those things that are true. Those who embrace or even just accept illusions are deceived and spiritually blind. This will always lead us to be distracted from God's will for us and ultimately they lead to sin. Illusions always form a barrier between us and God, since coming to Him involves seeing and living things as they really are (see Doctrine and Covenants 93). Furthermore, they often form the basis or underlying support for our false beliefs which lead to our weaknesses and sins. Without removing these illusions and our false beliefs, we cannot overcoming our related weaknesses and sins. 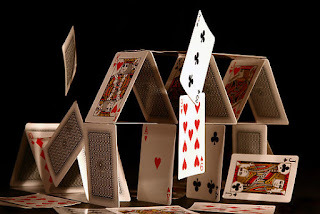 While these illusions may seem to uphold us, they are actually like a house of cards and when the storms of life come, they will at some point fall. In the end, illusions always damn us from progressing spiritually. Spiritual progression is always based on light and truth. If we want to draw closer to God, we have to seek truth. We have to uncover our false beliefs and the illusions we believe represent reality. Years ago I began praying to ask the Lord to help me know my false beliefs. Over the years since then He has helped me see the things I cannot see for myself. It required me being open and sincerely desiring truth more than anything else. Without this desire it is easy to be complacent, enjoying and chasing the illusions around us. Ask God to reveal to you the illusions you rely on. John similarly wrote encouraging us not to love the things of this world, but do the will of the Father. This is what leads us to become like Jesus.